"The only shield to his memory is the rectitude and sincerity of his actions. It is very imprudent to walk through life without this shield..."
Even with redactions, Mueller’s report is clear Trump undermined the Russia investigation. Scott Jennings writes that a key takeaway from the Mueller report is that Barack Obama's administration failed the United States with its tepid response to Russian interference in our democracy. 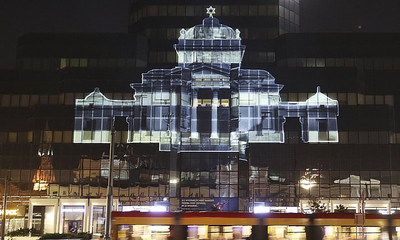 Artist Gabi von Seltmann projected the synagogue against the facade of the modern building which now stands in its place after it was destroyed during the Warsaw Ghetto Uprising of 1943. Without significant shifts in policy, about 480 million people - some 6 percent of the world - will remain in extreme poverty in 2030. The very rich are richer than people imagine. Robert Mueller filled his 448-page report with at least 10 instances where President Donald Trump tried to impede the special counsel’s investigation -- yet he stopped short of concluding whether the president obstructed justice. With Jason Latour and David Lafuente. Julian Assange repeatedly blamed Seth Rich, the murdered DNC staffer, for Russia’s leaks. 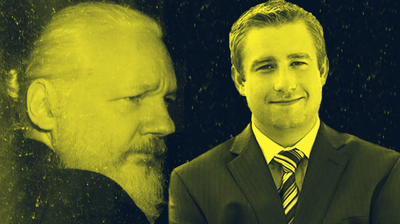 The Mueller report shows that Assange was lying from the start.